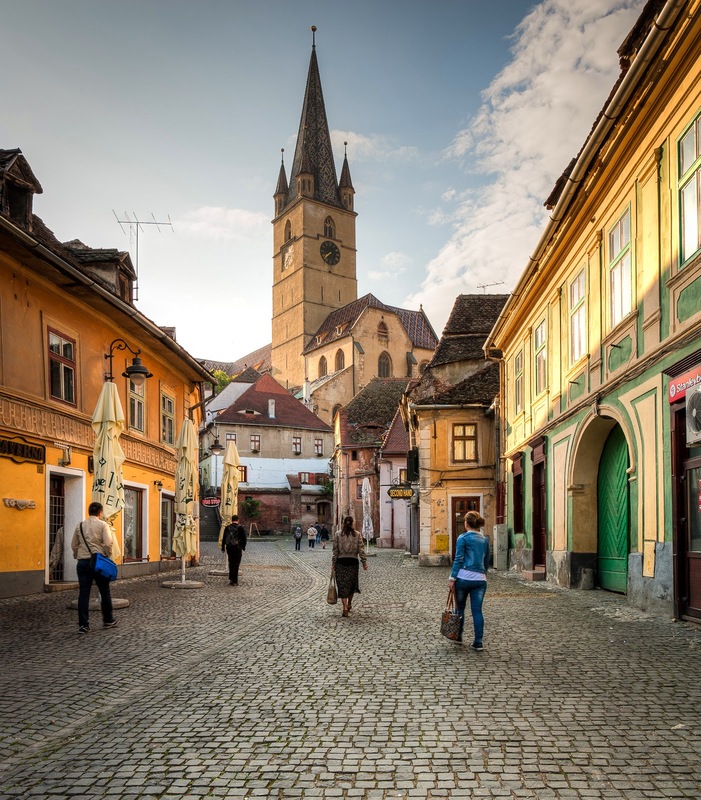 Everywhere we went in Transylvania, especially the rural areas, we have been following the footsteps of Prince Charles the Prince of Wales. 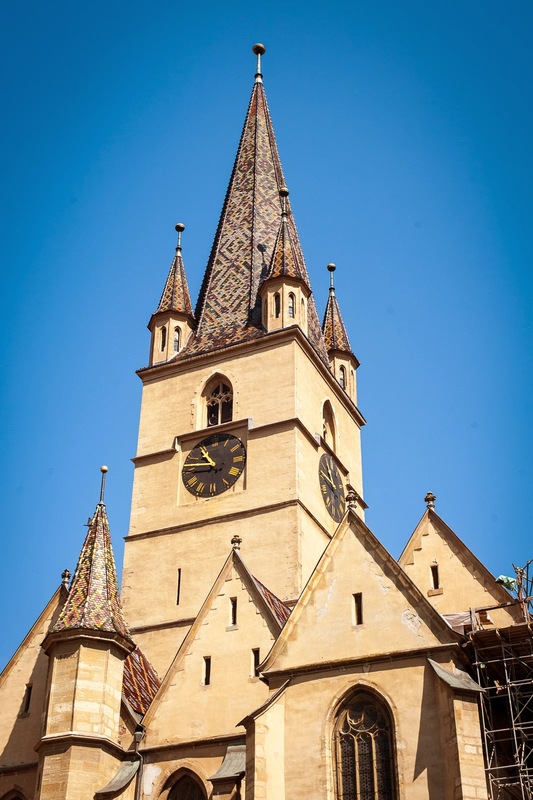 He believes in preserving crafts and culture and in that capacity, a foundation called Mihai Eminescu Trust (MET) was established that has funded the renovations of many of the fortified churches and surrounding villages like Miklósvár and Viscri. In fact, most of the craftspeople we visited had photos of themselves with Prince Charles (also Prince Harry) because he visits the area every May. Now in Sibiu I see on the Romanian news that Prince Charles is in Romania--we have missed him. 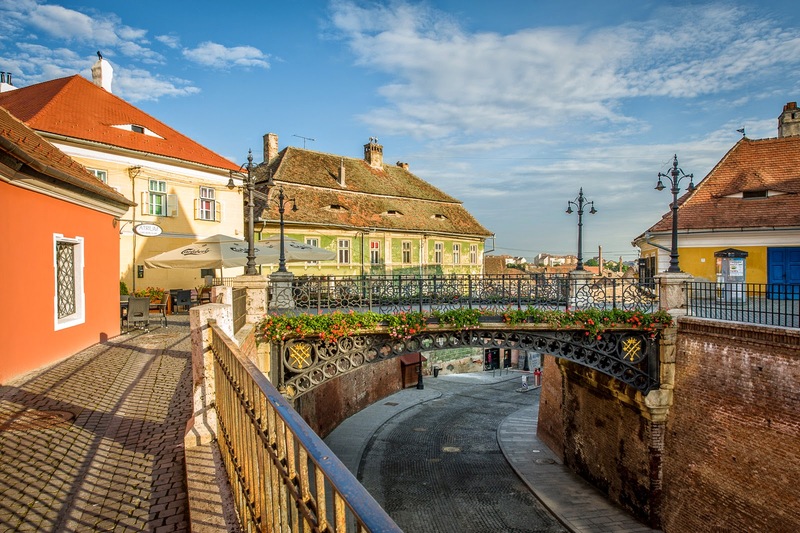 As I said before, upon seeing Sibiu, we really liked the old town and felt like we needed more time to explore. 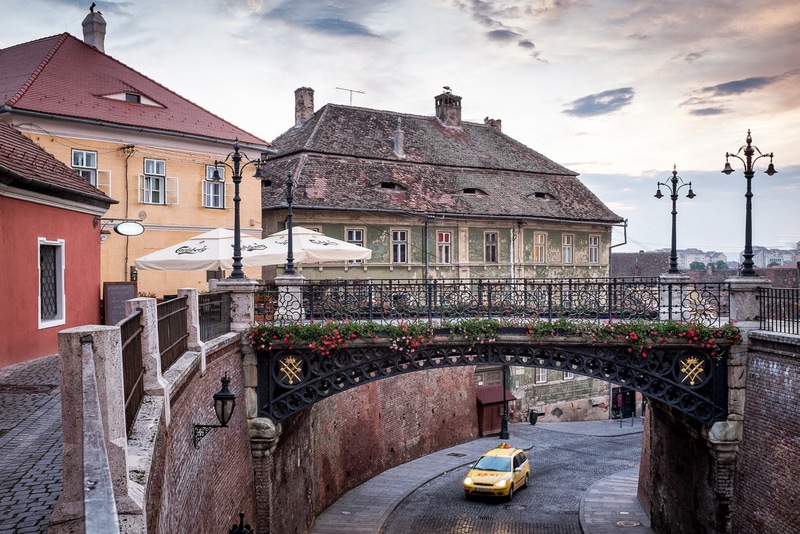 Coming back to Sibiu we stayed at Casa Luxemburg located on the middle square of the old city. Restoration of the exterior facade was completed in April. We stayed for two nights and didn't do much except explore more of the city, eat great food, and attend a free classical concert in one of the old churches--perfect. We also watched the storks that were meticulously arranging their nest on a nearby building. 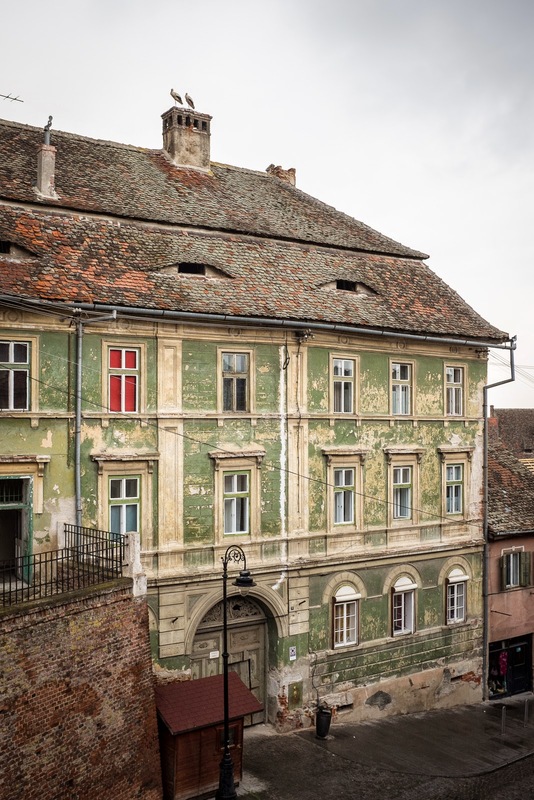 Many of these old buildings have "eyebrow" dormer windows in the roof. They seemed to watching our every move. The clock tower on the cathedral has four smaller towers surrounding the large one. The four small towers are a sign that the town had a judge in it. 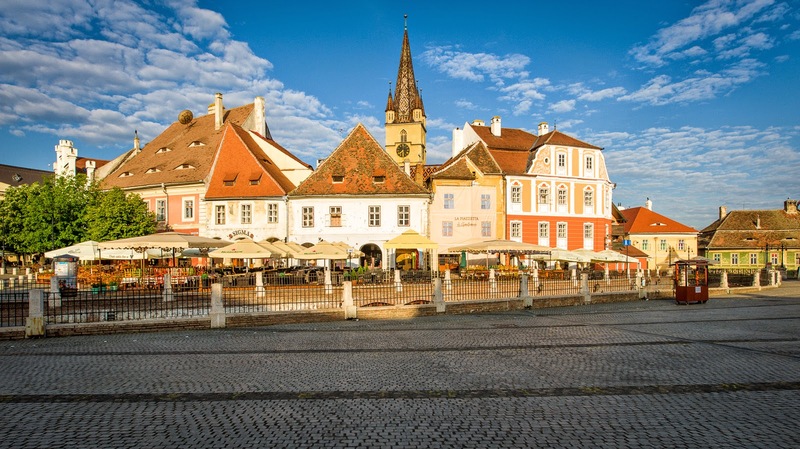 It also meant that capital punishment could be carried out in Sibiu. 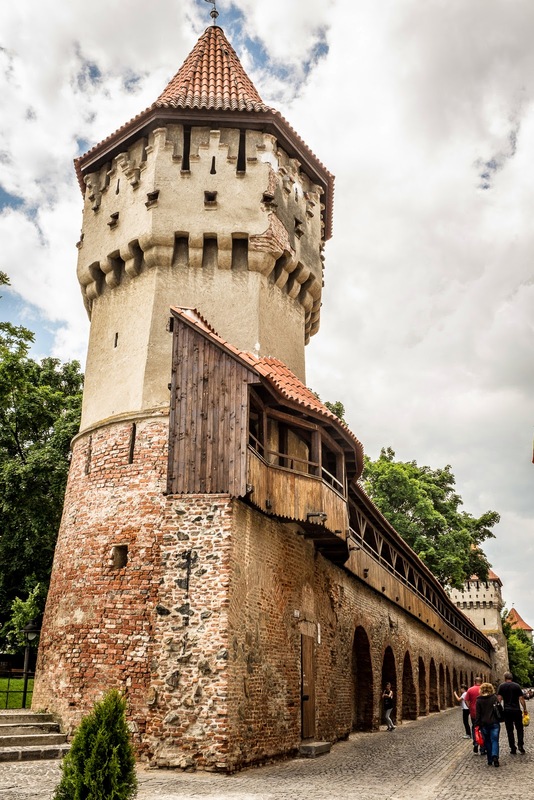 Only a fragment of the fortifications and three of the tradesmen's towers remain. The tower in the photo is the Carpenter's Tower. Leaving Transylvania behind and driving into Walachia, we no longer saw any storks--and our luck ran out. On a detour to the village of Horezu, we had a flat tire. Calling the rental car company, we were made aware of the fine print: the insurance does not cover tires, the bottom of the car, or the interior. We changed the tire and with the miniature spare in place began looking for a tire repair (a vulcanazor). They usually have tires stacked around the entry way so it didn't take long to find one. Unfortunately, the first vulcanazor we found yelled at us in a language we couldn't understand (Romanian) and pointed to the sky. There were clouds, but wasn't raining. It was Ascension Day so maybe that is why he was pointing up. Carefully and slowly, we drove to the next village where we had more luck. The tire repairman took our tire, plugged the rather large hole almost the size of my little finger. Note that I said he plugged it; he did not patch it. He added some strips of rubber around the plug, put the tire in water to make sure the plug was holding, put the tire back on the car, and we paid him about $6 USD. We continued on to Horezu. 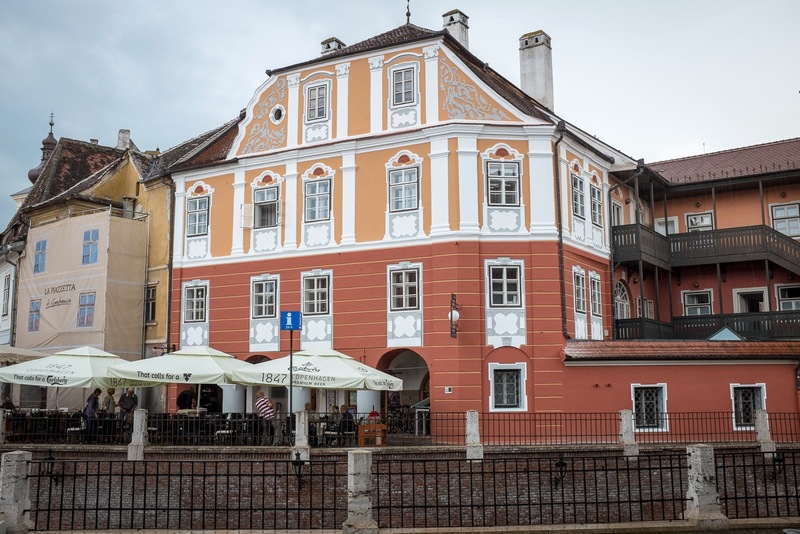 This detour was made because we bought a lovely ceramic platter in Sibiu that was painted in Horezu. 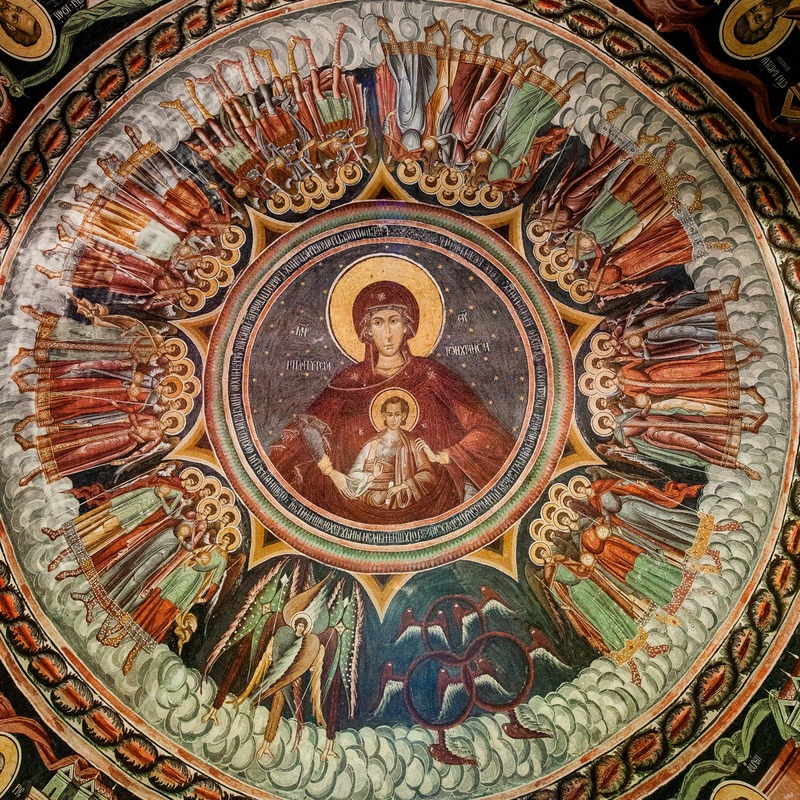 Horezu is the home of a 17th-century Orthodox church founded in 1690 by Prince Constantin Brâncoveanu with remarkable interior paintings in a style named for him--Brâncovenesc. Brâncovenesc is described as the only true Romanian artistic style. 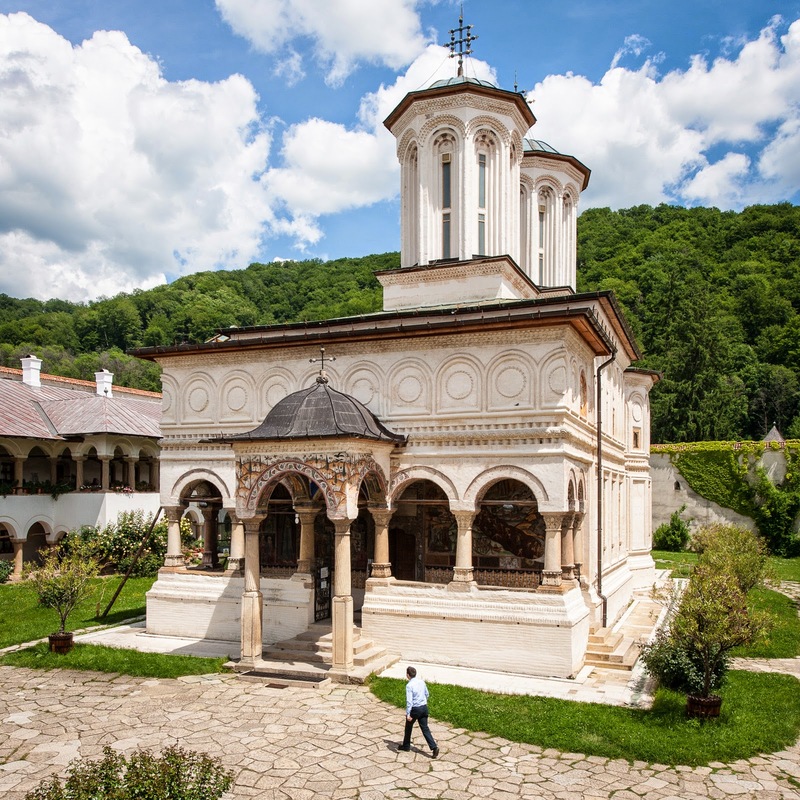 The Horezu monastery was the first church built by Prince Brâncoveanu and the artists who created the paintings were from Horezu. 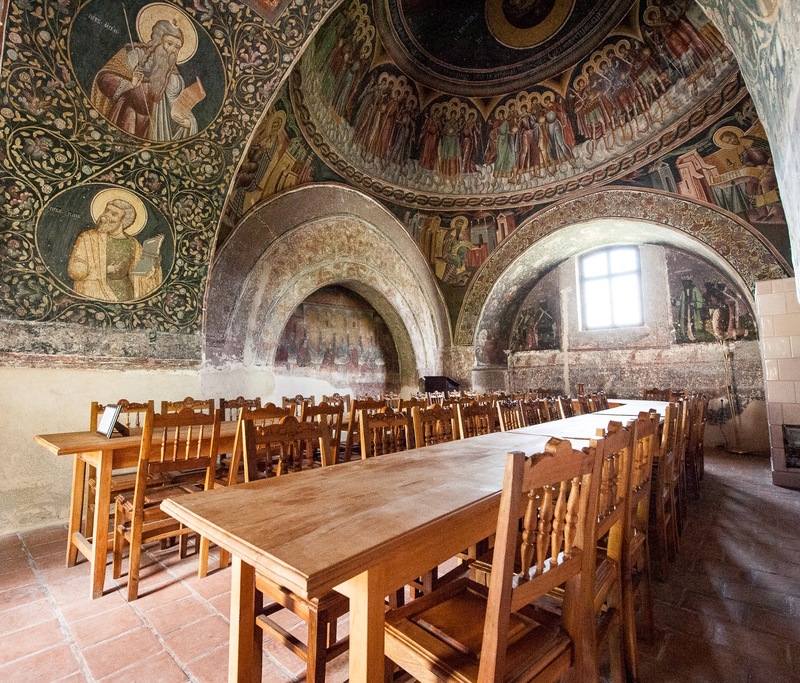 Photographs of the interior were not allowed, but I did take photos of the portico and of the nuns refectory. This is also a UNESCO World Heritage site. At the monastery, we met the nun who is the monastery guide. Her name prior to becoming a nun was Cecilia. Our Transylvanian guide, Cecilia, told us to ask for her. Two weeks in Romania and three Cecilias. 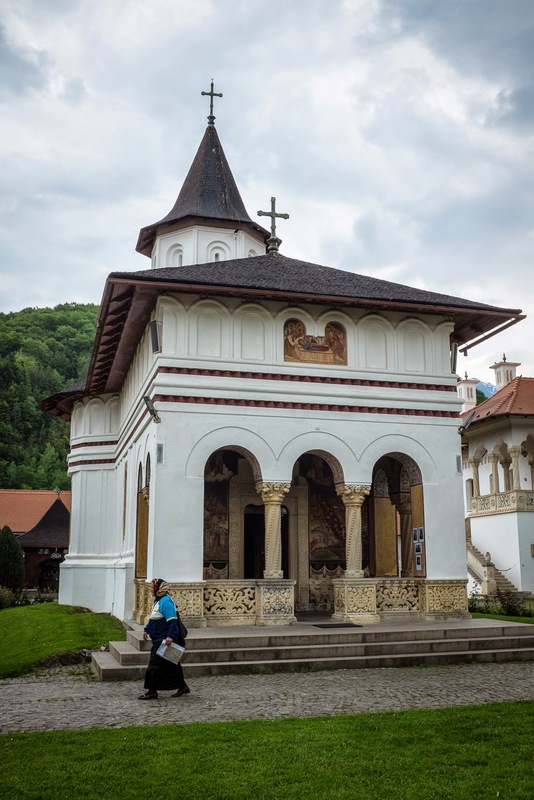 The week before we visited the Brâncoveanu Monastery in the village of Sâmbăta de Sus in Braşov County founded by Prince Brâncoveanu in 1696. 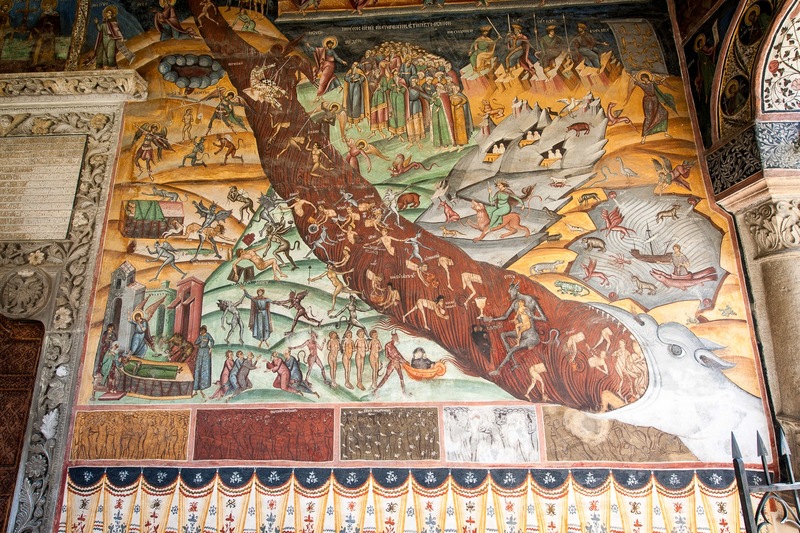 The portico has a similar Last Judgment painting. Leaving Horezu, we did stop at a couple of roadside ceramics shops, but nothing compared with what was available in Sibiu. We drove on to Bucharest and followed our hotel's great directions once we entered the city. We found that there were few street signs and insane traffic in Bucharest. We made one wrong turn and it took a very long time to find our way to the hotel--but we made it, finally.